1863-... Impact | Brüder Grimm-Gesellschaft Kassel e.V. Jacob and Wilhelm Grimm achieved with their fairy tales a worldwide and cross-media effect. Translations in more than 170 languages can be found today. The total circulation of all completed, partial and single editions have probably exceeded one billion copies. The Grimm’s fairy tales were not only incorporated into theatre, opera and ballet works, but also into radio, film, television and new media forms. Finally, the influence of their fairy tales may be seen in everyday life by themes and motifs, in press and in advertising as well as in simple artefacts. The academic interpretation of the Grimm brothers’ work is influenced significantly by the fact that they worked and lived together for their entire lives. Especially the long-term importance of their famous double portrait should not be underestimated. Of no less great importance is the influence of their monumental achievements in various fields of science as well as their social and political commitment. 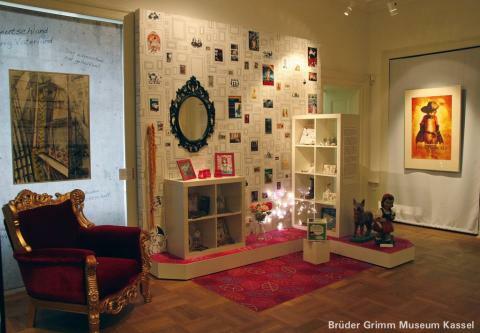 The Association of the Brothers Grimm is committed to preserve and promote the Grimms’ heritage by collecting, documenting and presenting all material associated with their life and work.